Buy Isagenix Sample Pak in NZ! The Sample Pak is a terrific introduction to Isagenix’s renowned range of healthy living supplements and solutions. 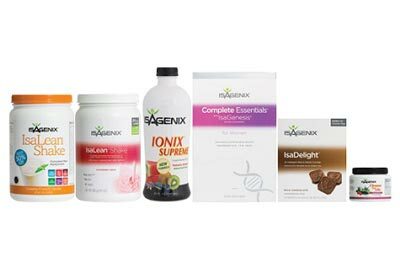 Whether you want to help new prospects decide on their Autoship products or simply need a great gift for someone with a passion for healthy living, the Isagenix Sample Pack is definitely for you! 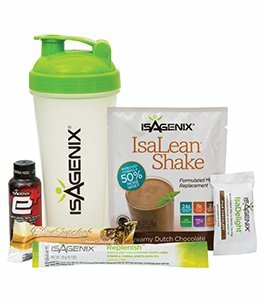 What’s Inside the Isagenix Sample Pak? 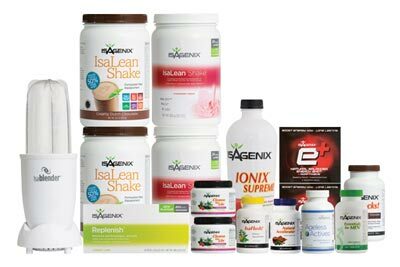 The IsaLean Shake is at the core of every Isagenix programme. Featuring an innovative formula of premium unprocessed proteins, healthy fats, and the perfect amount of energy fueling carbohydrates, it’s a complete meal replacement shake designed to satiate, spark weight loss, and maintain lean muscle. With only 240 calories per shake and a rich and creamy Dutch chocolate flavour that’s hard to resist, the IsaLean Shake is unlike any other meal replacement shake on the market today. Isagenix Fibre Snacks Bars are designed to satisfy your hunger, taste great, and provide you with 24 percent of your daily recommended fibre allowance. Available in a delicious peanut chocolate chew flavour and packed with six grams of premium protein per serving, the Fibre Snacks Bar is an ideal snack to keep you feeling and performing your best between shakes or meals. Loaded with B vitamins, amino acids, antioxidants, and essential minerals, IsaDelight chocolate squares taste great and help you feel even better. Only one or two squares per cleanse day will provide you with the nourishment and nutrition you need to curb your cravings, improve your mood, and give you the physical and mental boost you need to make it through the day in delicious fashion. This scientifically formulated sports drink provides optimal hydration for sustained performance and faster post-workout recovery. Loaded with electrolytes and available in a refreshing lemon lime flavour, Replenish is an ideal drink between workouts or to enjoy throughout the day. With 24 sachets per box, the Sample Pak allows you to enjoy nearly a month of the most advanced hydrating sports drink on the market. The Isagenix e+ Energy Shot combines green tea, yerba mate, and a myriad of other healthy botanicals to give you the all-natural boost of caffeine you need to power through any workout or workday. With only 35 calories per serving and no artificial flavours, colours, or sweeteners, this healthy, all-natural shot provides you with all of the boost and none of the side effects associated with other energy drinks. Whether you’re tackling a tough morning workout or burning the midnight oil with a pile of papers at your desk, the Isagenix e+ Energy Shot will help you perform at your absolute best! 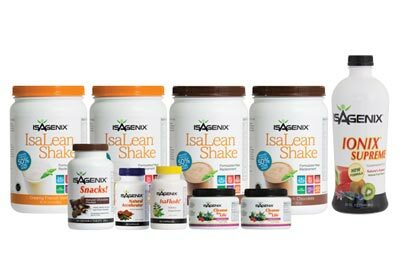 Perfect for mixing up IsaLean Shakes, Replenish, and other powerfully effective Isagenix sports and nutritional drinks, the IsaShaker is an ideal complement to the Sample Pak and something you’ll use day in and day out. 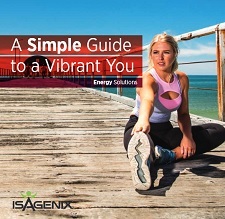 There are three basic ways that you can start using the Isagenix Energy Premium Pack. RECOMMENDED: Sign up and Save ($23 with FREE signup) — With the Sign up and Save option, you get the Isagenix Energy President’s Pak at the cheapest possible prices. During checkout you will need to enter your autoship—your 2nd order you will receive in 30 days time (you will only pay for this 2nd order at the time it is shipped). This can be cancelled or changed at any time after you receive your 1st order. You can choose to purchase this way, receive your first order and then cancel autoship immediately and still get your first order at the cheapest possible price! Preferred Customer ($23) –The Preferred Customer option allows you to access cheaper than retail prices, but it is slightly more expensive than the autoship option. Full Retail ($30.67) –If you are not comfortable with an autoshipment and do not want cheaper prices, you can use the full retail option. You get the same great products, but at the more expensive price. If you are passionate about Isagenix, you can earn money from your love of the products. I quit my 9-5 job and became financially stable within two months of selling the product. This choice is 100% optional, so it is up to you if you want to just buy Isagenix New Zealand products, earn money or both.